GerGrid is a 3D online multi-user virtual world enables its users to interact with each other through 3D and where you can build your own world. 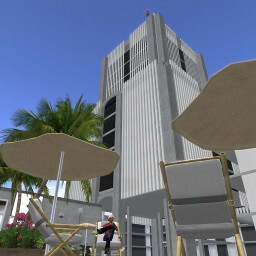 Create now your free avatar to dive into the world of GerGrid and build your own home in a great opensim based virtual world. Hypergrid enabled now. To teleport from other grid: Open the World Map, and in the search field enter the Hypergrid address http://gergrid.de:8002 click enter or Search and then click Teleport. Bitcoins for deposit to the credit account are accepted now too.